Yuzawaya ユザワヤ — The mother of all craft shops in Japan. Building 6 – Beads, flowers (real and artificial), handcraft materials and tools, knitting yarns (5 floors). The second floor is where you’ll find needle felting, amigurumi, needlework and sashiko kits. A gold mine of fabric kawaii to keep you busy for days months. Building 10 – Fabric, notions, home furnishings, sewing machines (3 floors). The first floor is primarily knits, wool, and upscale fabrics including Liberty of London cotton printed in Japan. On the second floor you’ll find various cottons, lining, and home dec fabrics, and the third floor is notions. Good to know here – have your fabric cut on each floor and bring it all downstairs to 1F to checkout. Yeah, it feels a little weird to be walking outside with your bounty, but it’s OK. Some fabrics have a minimum cut of 50 cm, and some sale fabrics must be purchased by the meter. Note that not all credit cards are accepted, so be safe and bring cash. You can read about a few of my adventures to Yuzawaya here and here. 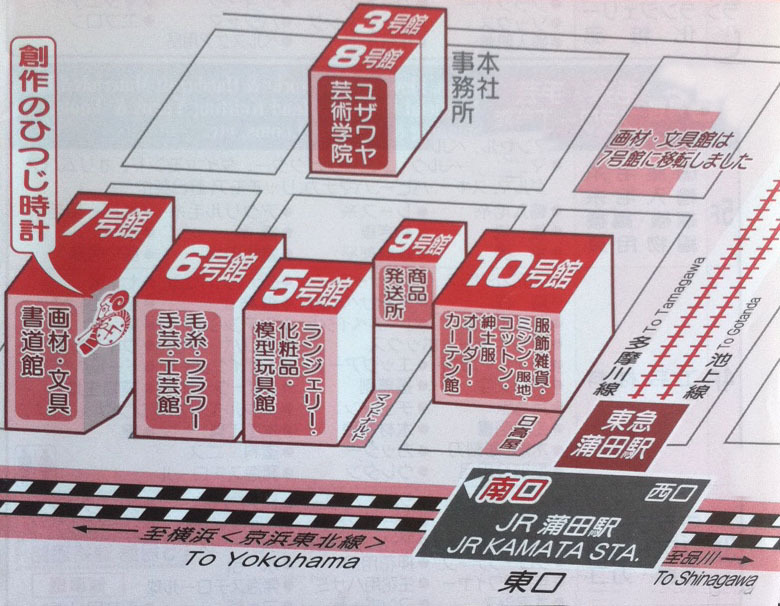 Yuzawaya’s other locations include Shibuya, Shinjuku (Takashima Times Square 11F), and Kichijoji.